People are passionate about their beverages. We want them flavorful, pretty, fresh, and inexpensive. We need them fast, in the biggest cup you’ve got, with our choice of milk, and a generous dash of whip. Remember those multicolored pastel drinks that were all the rage? 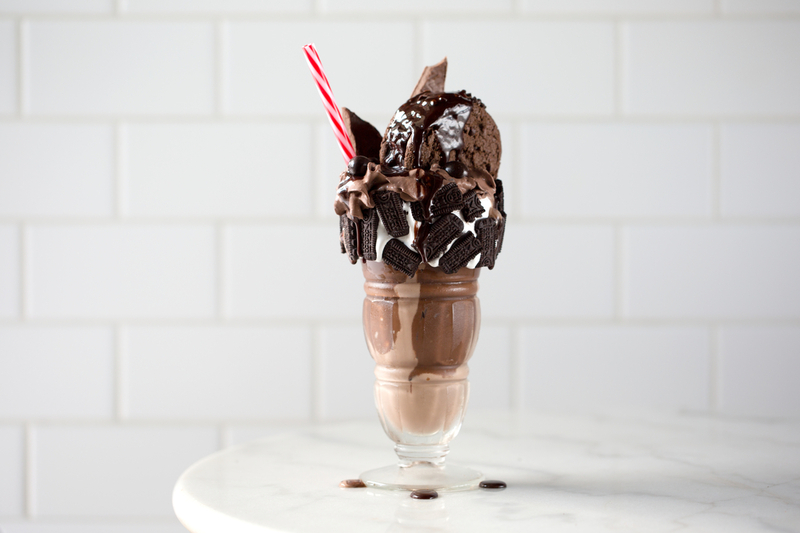 What about freakshakes, the mother of all milkshakes, topped with every confection imaginable? People are having fun with their drinks, and we are on board. 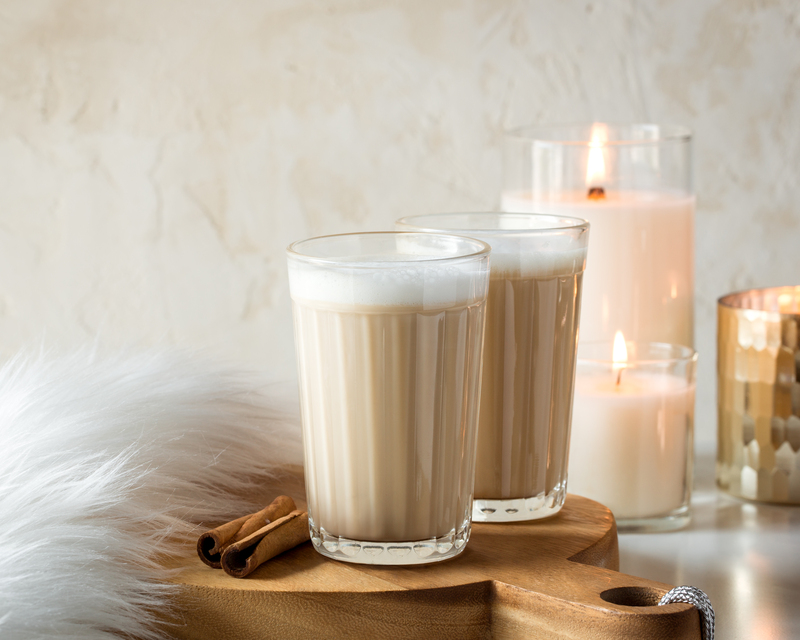 One of our favorite trends these days is the Dirty Chai Tea Latte. You can have all the warm, spicy flavors of chai without sacrificing the essential, revitalizing joy that is coffee. Basically, you can have your cake and eat it too. Bonus: you can make it at home! Some of the best innovations come from necessity. We’ve all made those “I really need to go food shopping but I don’t feel like it” meals. You stare into your bare cabinets and try to figure out how you can work those pitiful, mismatched ingredients into something edible. There are entire cookbooks on the subject matter. Scarcity can turn anyone into an innovator. The aromatic tea we know and love was born in tougher times. Masala Chai is a Hindi term that translates to “mixed-spice tea”. In the early 1900s, black tea was very expensive in India. Vendors used milk, sugar and spices to keep their brew flavorful while keeping costs down. To stimulate the sales of Indian tea, the British-owned Indian Tea Association encouraged big employers to offer tea breaks throughout the work day. They also encouraged chaiwalas, tea vendors, to sell their brew along the developing railway system. Traditional Masala Chai used black tea, typically the local Assam or Ceylon, blended with real spices that varied based on region and availability. Chaiwalas became an important part of the culture and continue to exist all over India. They are one of the only consistent presences in a very diverse country, from lazy rural villages to busy cities streets. People from all walks of life flock to chaiwalas for a reprieve from the hustle and bustle of daily life. Over tea, you’ll see people congregate, night and day, discussing anything from politics to sports. Masala Chai became popular in India, but it didn’t stop there. Over the pond it went, right to our local coffee shops and tea houses, in all its spicy, fragrant glory. Any trendy coffee shop will boast the “Best Dirty Chai,” but as DIY-ers, we subscribe to the philosophy that if you want something done right, you’ve got to do it yourself. A lot of cafes make their chai with a concentrated syrup or powder mix. This version fuses our own signature chai spices into the tea like the first chaiwalas. Those real ingredients add a richness and depth of flavor you can’t emulate with an artificial mix alone. You wouldn’t build a house with particle board. You have to go for the good stuff! If you want the traditional Dirty Chai experience, brew up 2 shots of espresso – we love Godfather’s Italian Espresso for this drink. You can also strong brew any coffee of your choice. Typically, espresso drinks use a dark roast, but the beauty of doing it at home is that you get to choose. Your home will be filled with that sweet, spicy aroma in no time! Whether you’re brewing it by the cup or the pitcher, this decadent treat is as simple as it is tasty. Give this recipe a try and let us know what you think in the comments below! 2.) Prepare chai by bringing water to boil, then pouring it over loose leaf tea in a tea strainer. Let steep for 5-10 minutes. Remove tea bag/tea container from tea. 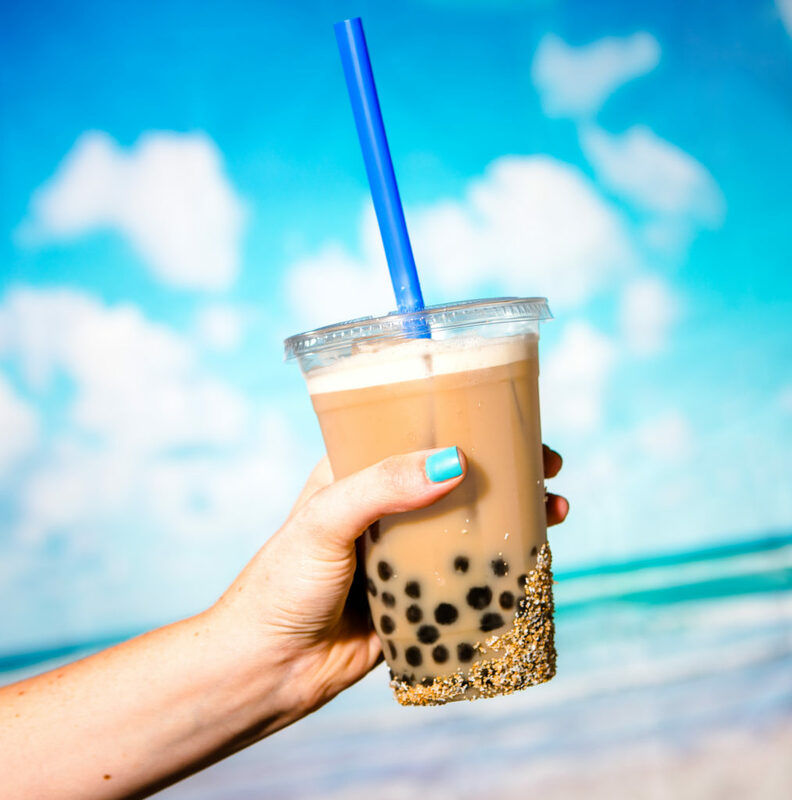 If you’re one of the many iced coffee lovers who’ve made the switch to cold brew, you may be wondering what all the fuss is about “flash brewed” iced coffee. Back before cold brew was a thing, iced coffee was often regular strength hot coffee (or yesterday’s coffee) poured over ice. The result was watery and disappointing. Also called ice brewed or Japanese-style iced coffee, flash brewed iced coffee is brewed fresh over ice, usually using a pour-over brewer like the Chemex or Hario. 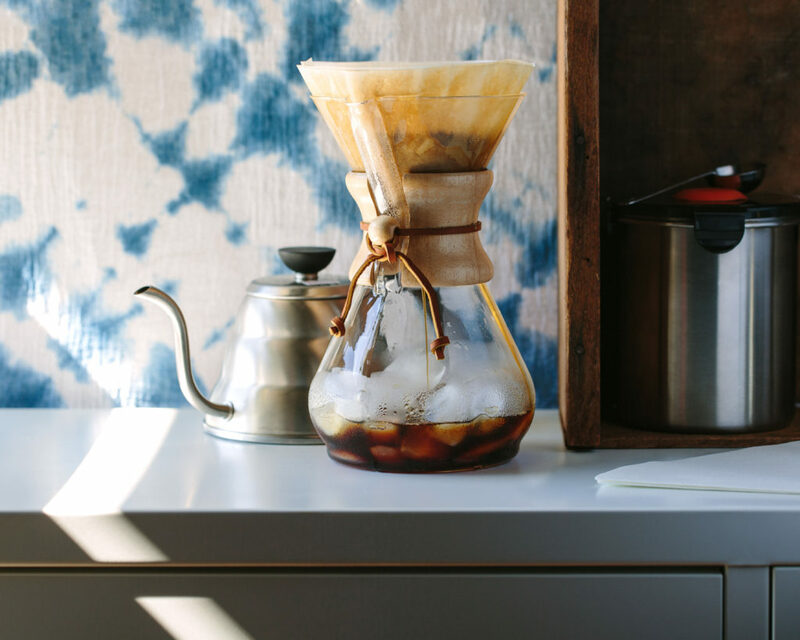 For a visual, check out our video on brewing hot or iced coffee with the Chemex. It can also be made with a regular old automatic drip machine or an Aeropress. The key is allowing the coffee to drip directly onto the ice as it brews. Drip by drip, it cools instantly and less dilution occurs than if you were to dump a cup or a pot full of hot coffee over ice. If cold brew tastes a little flat to you, that’s because ground coffee requires heat to release some of its acids and aromatic oils (for details on the cold brewing method, check out our post). Cold brewed coffee is much less acidic, but possibly also less nuanced in flavor. High temperatures also cause these oils to oxidize and degrade over time, resulting in the sour or stale taste coffee acquires after sitting on a burner too long. Both methods claim to minimize oxidation, cold brewing by omitting heat and flash brewing by minimizing the amount of time between exposure to heat and consumption. Another important difference between cold brew and flash brew is texture. Cold brew is less filtered since the coffee sits in contact with the grounds for a long period and some finer sediment dissolves over time. The end result is a rich, mellow cup, with the velvety texture of French press coffee. Flash brewed coffee by comparison is cleaner and crisper, with more bite, more aroma, and some would argue, more flavor. Flash brewed coffee also has a few convenient advantages over cold brews, depending on your perspective. While nothing is lazier than dumping grounds and water in a bowl and letting them sit, flash brewed coffee is ready right away – no wait required. Also, less coffee is required since cold brew recipes typically make a concentrate with a high ratio of grounds to water. For flash brewing, start with the amount of coffee you would normally use, and replace half the brewing water with ice. Increase the grounds to water ratio if you like a little stronger taste from your iced coffee. So which one wins? Cold brewing will emphasize more chocolaty or nutty characteristics while the acidity of flash brew will taste fruitier. Try picking a single origin coffee with an acidity level and flavor notes that will either play up or balance these characteristics. For instance, the higher acidity level of Ethiopian Yirgacheffe really jazzes up a cup of cold brew. To further emphasize its brightness, try it flash brewed. To minimize the acidic flavor of flash brewed coffee, try an Indonesian varietal like Papua New Guinea or Estate Java. Flash Brewed coffee tends to have a more nuanced flavor, perfect for a light roast coffee, but there are no rules. Experiment with roast level, see what you like, and share your recommendations! Here at the CBD office French press coffee is affectionately called “luxury coffee.” It’s always a treat when we brew a pot. With French press brewing, the coffee grounds are in direct contact with the water for several minutes and filtered with a mesh strainer. Oils filtered by paper in other brewers remain in the liquid, resulting in a very rich, and flavorful cup. While it does take a little more input than pushing a button, it doesn’t require a lot of fussiness and it’s so worth the extra effort you won’t mind. To get you started, here are our steps to a great pot of French press. Make sure your coffee is freshly roasted and ground on a coarse setting. Use very hot, but not boiling water (let the water sit a minute or two after boiling). We recommend a ratio of 2 heaping tablespoons per 8 ounces of water. If your coffee isn’t the freshest or you like a stronger flavor, try 2 tablespoons per 6 ounces. Add the coffee to your pot first, then fill to about halfway with water, saturating all the grounds. Allow the coffee to stand for one minute, then stir. Add the rest of your water, leaving just enough room for the French press lid. Place the lid on the top of your press, without depressing the plunger. Wait three more minutes, then plunge, pour, and enjoy! If you’re not serving the coffee right away, transferring it to a thermal carafe will keep it from over steeping, and keep it hot. When it’s time to clean your press, an easy way to get rid of the grounds at the bottom is to swirl some hot water around in there, pouring it out through a mesh sieve. For stubborn stains, try filling the carafe with soapy water and plunging it a few times, or let soak in a 50/50 mixture of distilled white vinegar and boiling water.